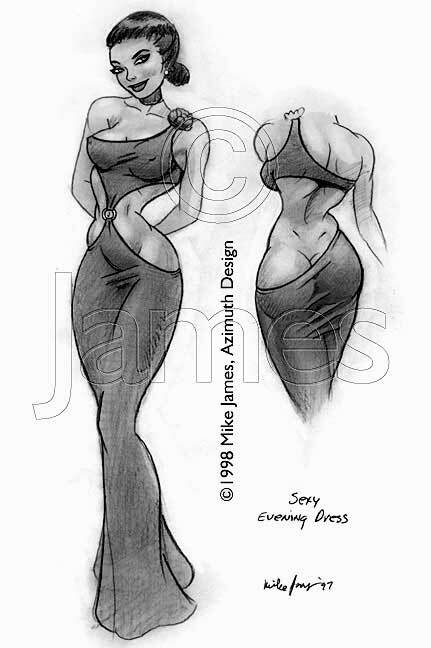 This is Mike's 1997 sketch for the dress Marie wears on the first photo of her webpage. Isabelle Jorgensen did an outstanding job in constructing it. to get to accompany the photo of Marie wearing the dress.